People who are still hiring “SEO” types to go out build spam links in comments, or include your website in a link farm, have failed to keep up with the search engine industry. You cannot – I repeat, cannot – achieve high levels of exposure on the web from just a link building campaign. I know, there are going to be some of you SEO types who will immediately clamor back at me in utter disgust! If you assume that you can simply build links to improve your rankings in Google, then you don’t quite understand the depths, the technology, and the shear brilliance of the “analyzing links” factor that determines what websites get top rankings. It’s been nearly 10 years now since Google first launched their algorithm that “brought order to the web.” And it would be quite an understatement to say that Google’s algorithm has evolved since then. One of the ways Google has improved considerably is in determining what links were generated manually and what links were built naturally. You see, when links are built to any particular website, there are patterns that develop. Google has gotten really good at determining what patterns closely resemble “spam link building”, and what patterns resemble natural link building. The sites that have a reputation for “spam link building” are ultimately discredited in Google’s index. This means that no matter what you do, nor how many links you build back to you site, you are basically blacklisted from the index with no chance of ranking for your competitive keywords. In my view, blogging is the best way to build high quality, natural links to your website. Unless, of course you are Coca Cola, Nike, or Huffington Post, and you already have a strong reputation that will attract authoritative links. But most of us mere mortals aren’t so fortunate! So you have to work hard and find ways to get exposure and build an audience. And blogging achieves that faster then any other method. Plus, for the most part, businesses are working within a budget and need inexpensive solutions to build their rankings in Google. Fortunately, starting a blog can be free, or very inexpensive at the most. As you generate new content in your blog, each new article is considered a new page that’s published to the web. That new page, from Google’s perspective, is part of the overall “web” that makes up the Internet and needs to be crawled and indexed like any other web page. So the more articles you produce, the more frequently Google will come back to your site crawl and index your content. And this process continues, within a short period you’ll find your PageRank increasing. And continuing on from there – as your PageRank increases, each new article that you write will get a little bit higher rankings because of your blog’s new authority. 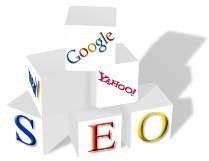 Which in turn will attract more visitors and more frequent crawling from Google. This cycle will continue indefinitely so long as you continue to produce high quality content on a consistent basis. As you PageRank continues to increase, so does your exposure and rankings in Google. This exposure is what presents your content to a wide, diverse audience of people who will begin to link back to you for various reasons. And all of the backlinking is 100% natural. The more people “naturally” link back to you, more profound the cycle described above becomes. This is because Google wants to present the absolute highest quality pages at the top of their search results. So the ones that make it are the ones that have “authority” behind their pages. And authority, from Google’s perspective, entails natural link building, lots of traffic, and consistent content production. And a blog, as I’ve already stated, is without a doubt the most effective way achieve high levels of exposure and top rankings in Google search results – otherwise known as SEO!